Daimler, parent company of Mercedes-Benz and Smart, also owns the Mitsubishi Fuso Truck and Bus Corporation—which it used last week to preview major shifts coming to its Daimler Trucks business. It all took place at the reveal of E-Fuso, a new sub-brand of Daimler's Fuso operation that will focus on electrified and electric trucks and buses. In announcing the E-Fuso brand at the 2017 Tokyo Motor Show, the company also revealed its first concept truck: the E-Fuso Vision One, an all-electric heavy-duty truck. 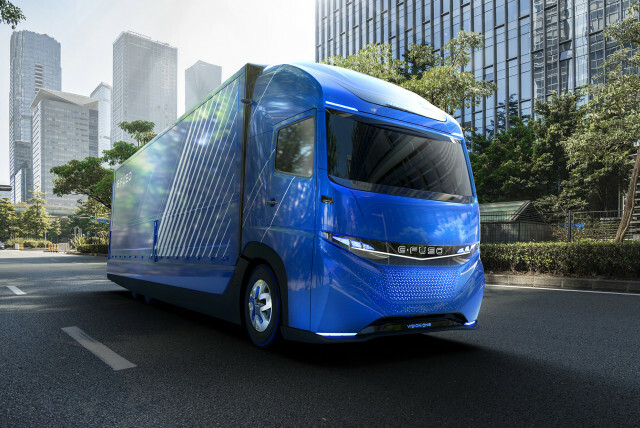 The concept truck represents what would be E-Fuso's final step in electrification, a full battery-electric vehicle; the brand says its electrification will occur in steps as the associated components and battery technology progress. 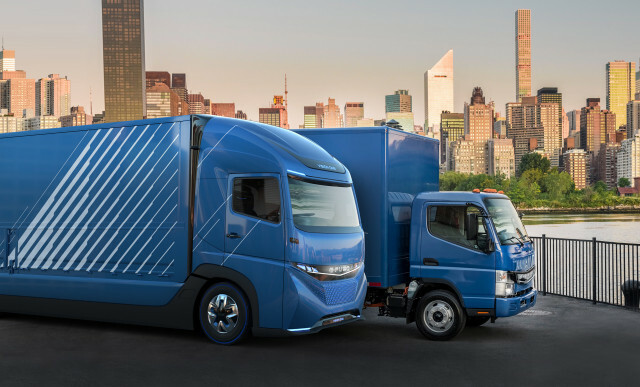 In the near future, the brand will focus on electrifying all of its trucks and buses in some manner, with the heavy-duty all-electric truck a final goal. The E-Fuso Vision One features a 300 kilowatt-hour battery pack that it says provides 350 kilometers (217 miles) of range. Most importantly, per E-Fuso, the Vision One boasts an approximate payload of 11 tons—only 2 tons less than its diesel-powered production truck. However, even with 217 miles of range, the powertrain remains best suited for regional intracity operations. E-Fuso says a production version of the Vision One concept will likely first come to market in Japan or Europe; both China and the United States are vastly different and demand long-range haulers due to the countries' sheer size. If a production truck does come to market, it likely won't arrive before 2021, according to the brand. However, Fuso, E-Fuso's parent brand, revealed the eCanter all-electric truck earlier this year. The truck features six lithium-ion battery packs, each producing 13.8 kilowatt-hours and it will go an estimated 62 miles on a single charge. UPS and Seven-Eleven will take delivery of the first production eCanter trucks in the U.S. ahead of large-scale production in 2019. 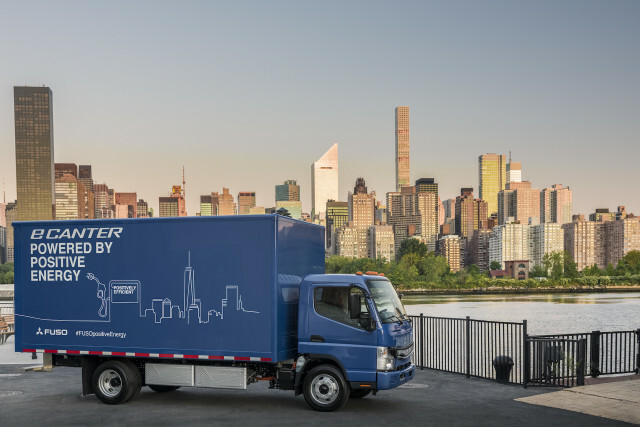 With a mere 62-mile range, the electric truck will get to work in major cities such as New York City for short delivery routes. UPS said the trucks will play a major part in curbing emissions and noise pollution in the metropolitan area. Additional U.S. customers of the eCanter electric truck include Habitat for Humanity, Wildlife Conservation Society, and The New York Botanical Garden.